If you feel severely stressed by your mortgage payments, especially if you’re “underwater,” you may be sorely tempted to cash out your 401(k) to pay it off or to at least pay it down. But here are six things you should do before you succumb to the temptation. The first thing you need to do is learn who owns your mortgage. If it’s owned or guaranteed by either Fannie Mae or Freddie Mac, you might be able to modify it under HARP (Home Affordable Refinance Program) 2.0. However, to qualify for this program, you’ll need a current loan to value ratio greater than 80% and you must be current on your payments and have had a good payment history for the last 12 months. If you can accelerate your payments, the objective here is not to pay off the entire loan. It’s to pay it off as fast as possible. This would allow you to accumulate enough equity to make refinancing possible. Have several realtors come over and give you a market analysis as to the value of your home. Ask them if there are things you could do to improve it relative to similar homes. You might be able to do a junk cleanup, repaint or do some other fairly inexpensive alterations and make a big difference in its appraised value. 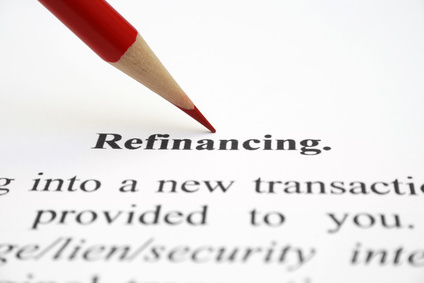 If you’re in default you might talk with your lender about refinancing your loan. Banks are sometimes willing to work with you because they know that this is cheaper in the long run then foreclosing on your house. If your lender is not interested in refinancing your loan, you might talk with it regarding its policies about just turning your property over to it. You will probably find that your lender isn’t very enthusiastic about this but if you’re willing to move out of your house, it’s worth discussing. You may also want to talk this over with an attorney. Sit down and make a list of all your debts. You may find that the stress you’re feeling is really not because of your mortgage but because of the sum total of all your debts. If it turns out that this is the case, you should look into debt settlement. It’s a way to get your unsecured debts reduced and consolidated into a single monthly payment. For example, if you were to contract with us to handle your unsecured debts we would negotiate with your creditors and probably save you thousands of dollars. However, for this to work you must have failed to make payments on your unsecured debts for around six months. Then instead of paying your creditors, you would send the money to us each month and we would deposit it into a trust account that only you manage. Once all your creditors have agreed to our settlement offers, we would present you with an affordable payment plan that should see you debt free in 24 to 48 months. Since we charge no upfront fees, you have nothing to lose by giving us the opportunity to settle your debts. Unfortunately, debt settlement is not for everyone. You must owe at least $10,000 in unsecured debts and as noted above, have failed to make payments on them for around six months. It’s also important to understand that debt settlement will have an effect on your credit score. Some financial experts believe it would drop your score by 80 points. But this is much less severe than filing for bankruptcy, which would likely drop it by as many as 200 points.